This past month has been all about skincare, mostly thanks to mine being a real pain. Relaxing with a skin mask is a wonderful way to take time for yourself and something I do at least once a week. 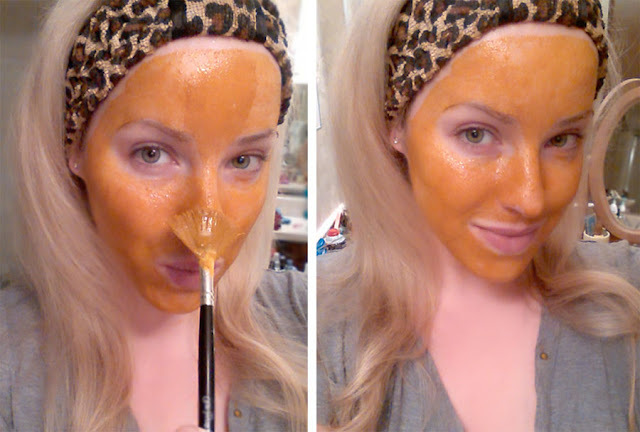 I have a drawer full of face masks but one of my favorites is one you can whip up right in the kitchen with Turmeric and Manuka Honey. 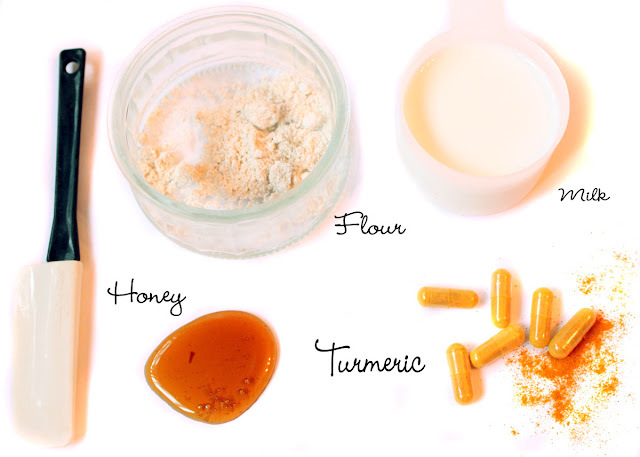 Not only is Turmeric a tasty spice with wonderful health benefits, it has long been a part of natural skincare. In South Asia, brides use the mask to brighten their complexion for their big day. Manuka Honey is incredibly beneficial for nourishing dry, irritated skin. With this DIY Turmeric Manuka Honey Skin Mask your complexion will be soft, supple, and glowing! 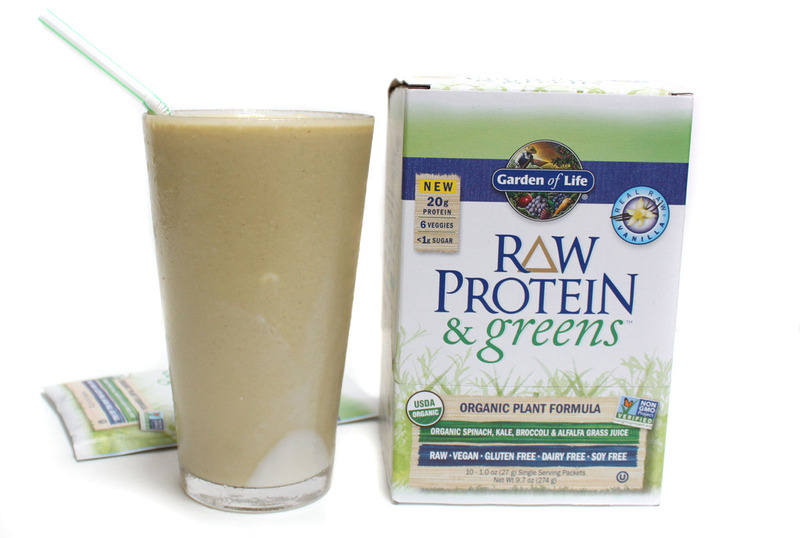 I also have a recipe for my favorite glowing greens "beauty smoothie" with the new Garden of Life Protein & Greens. Sip on it while you kick back and relax in this crazy orange mask. 4-6 Turmeric Capsules (enough to make 1 tsp.) or 1 tsp ground powder. 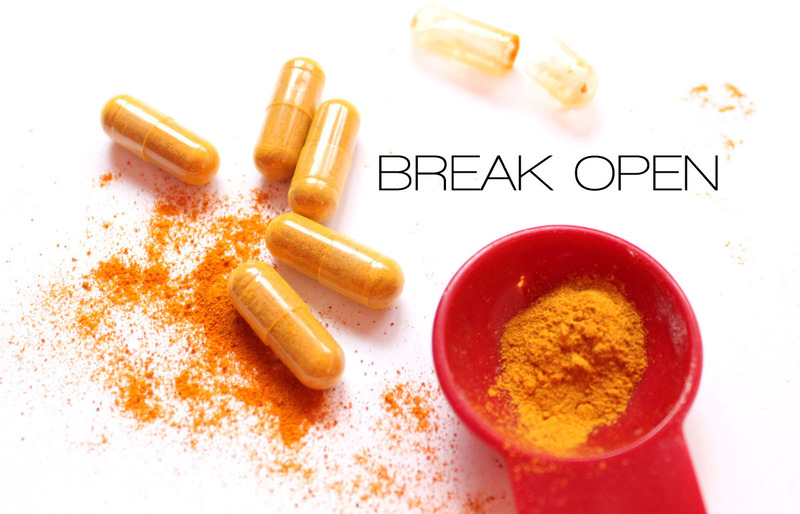 Break open 4-5 Turmeric Capsules and pour the powder out. If you have Turmeric as a powdered spice use 1 tsp. Mix the Turmeric powder and flour until well combined. The flour will help make the consistency thicker so it won't drip as much. Add milk and honey, mix until the mask resembles a creamy paste with a smooth consistency. 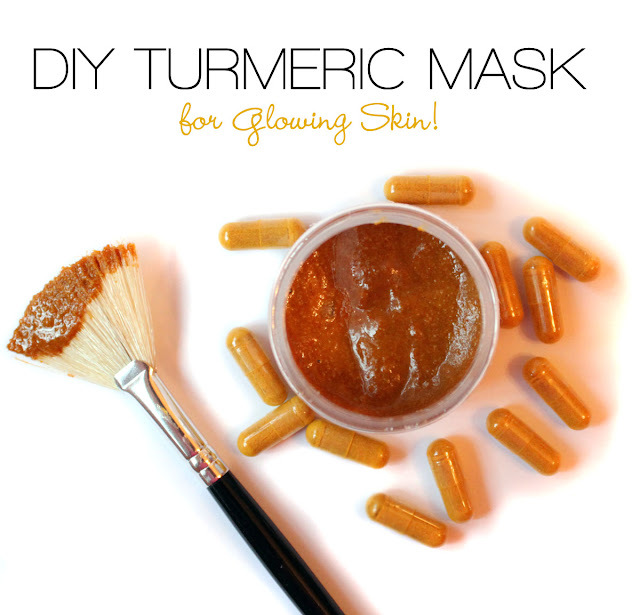 Turmeric can stain the skin slightly, but I find adding a bit of dairy helps minimize the leftover golden glow. Manuka Honey I originally added to my diet for the health benefits but found out that this miracle honey is also good for the skin. Manuka Honey is anti-bacterial and anti-inflammatory and can heal inflamed skin and draw out impurities from pores. This makes it excellent for acne or eczema. Manuka also repairs and hydrates for glowing healthy skin. Honey is super soothing and calming making it a preferred addition to a skin mask or used on its own. 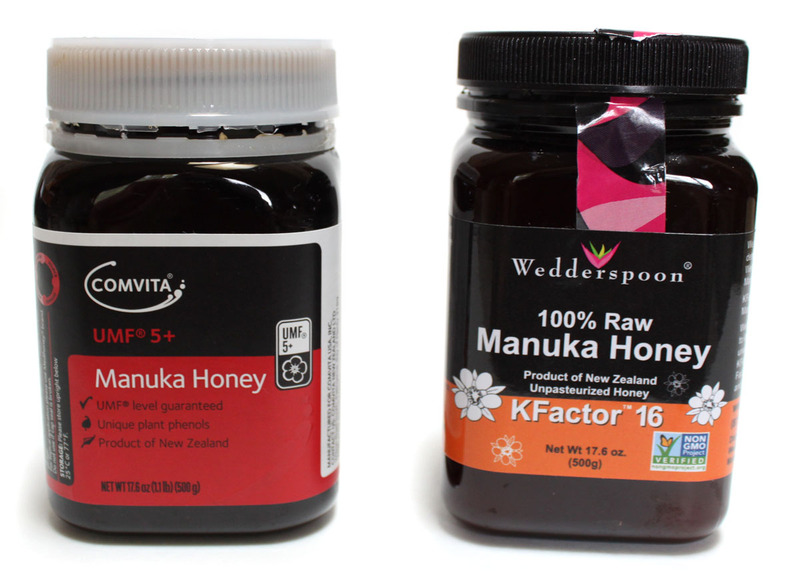 My two favorites for Manuka Honey are Wedderspoon and Comvita*. The higher the UMF rating the better. For skin masks and because it's the cheapest I usually reach for the Comvita UMF 5+ and save the Wedderspoon KFactor 16 for internal use. While regular raw organic honey will work fine too, Manuka is shown to have higher therapeutic properties and it tastes incredibly delicious too! 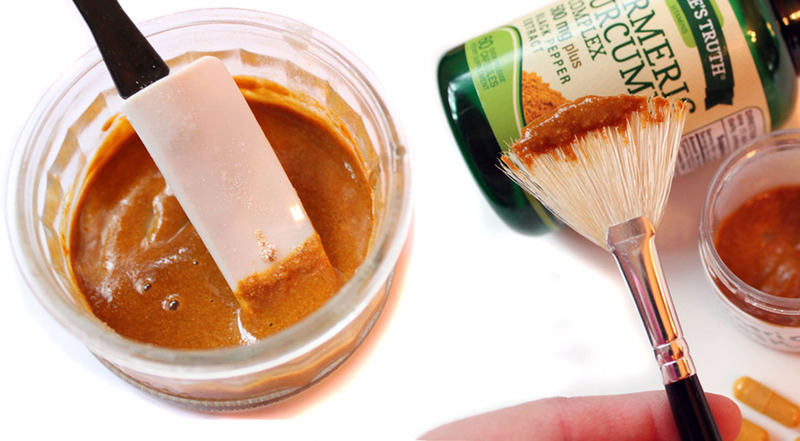 Apply a thin layer over cleansed skin with a cosmetic brush. Be mindful not to get it on to your clothing as it does stain. I just put on an old t-shirt because I am messy! Let dry for 20 minutes. Turmeric has a natural yellow coloring which may slightly linger on the skin after, I think it just adds to the glow! Yes, you will look like an extra on The Simpsons but I promise it will be worth it. Rinse with warm water. Even in my terrible bathroom lighting with no makeup you can see the glow it gives your skin. 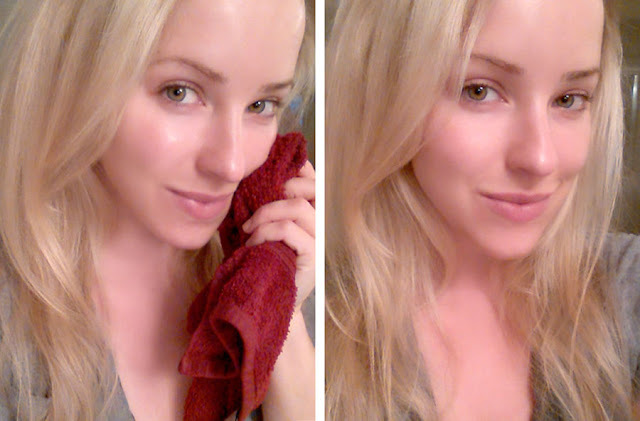 I just love this quick and inexpensive DIY mask for keeping skin looking soft, healthy, and rejuvenated. While relaxing with this all-natural skin mask on I like to whip up another beauty remedy in the kitchen. A glowing green "beauty smoothie" detox drink to further the at-home spa experience. Garden Of Life have now combined Raw Protein & Greens. A delicious addition to the No. 1 protein brand, RAW Protein & greens is a Certified USDA Organic and Non-GMO Project Verified combo of clean organic plant protein and organic veggies. I like that I can get my protein in and don't have to stock up on kale or spinach each week to add to it. 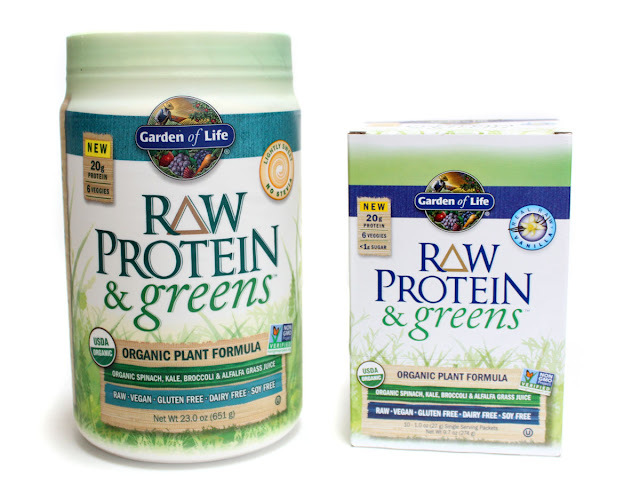 Providing 20g of delicious, smooth protein per serving, the RAW, organic plant protein used in RAW Protein & greens is derived from organic pea, organic sprouted brown rice, organic chia, organic navy bean (sprout), organic lentil bean (sprout) and organic garbanzo bean (sprout). 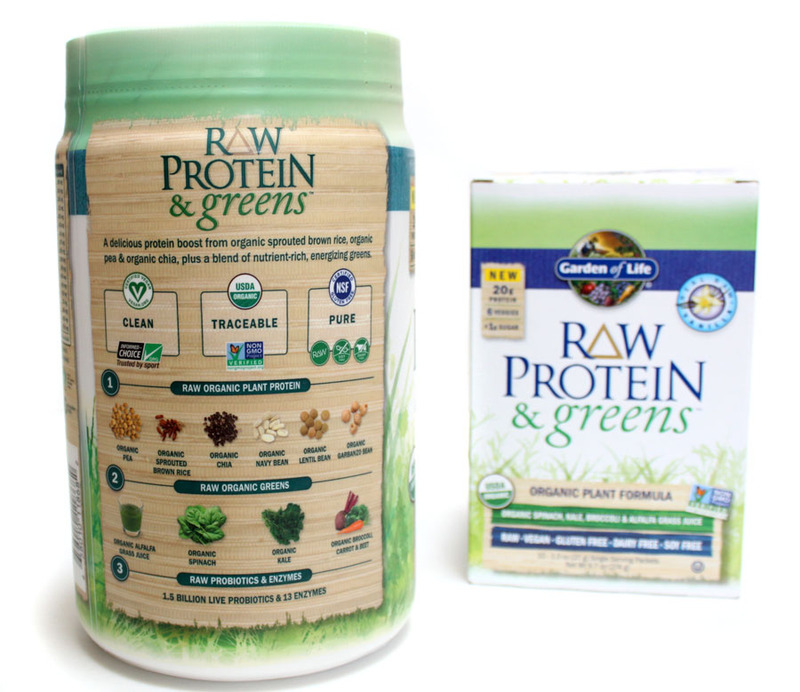 The blend of six nutrient-rich, energizing, organic greens and veggies in RAW Protein & greens includes organic alfalfa grass juice which has six times the nutrient density of whole leaf grass, plus organic spinach, organic kale, organic broccoli, organic carrot and organic beet. RAW Protein & Greens * is available in three delicious flavors: Vanilla, Chocolate Cacao (both contain organic stevia extract) and Lightly Sweet (with organic sugar instead of stevia). 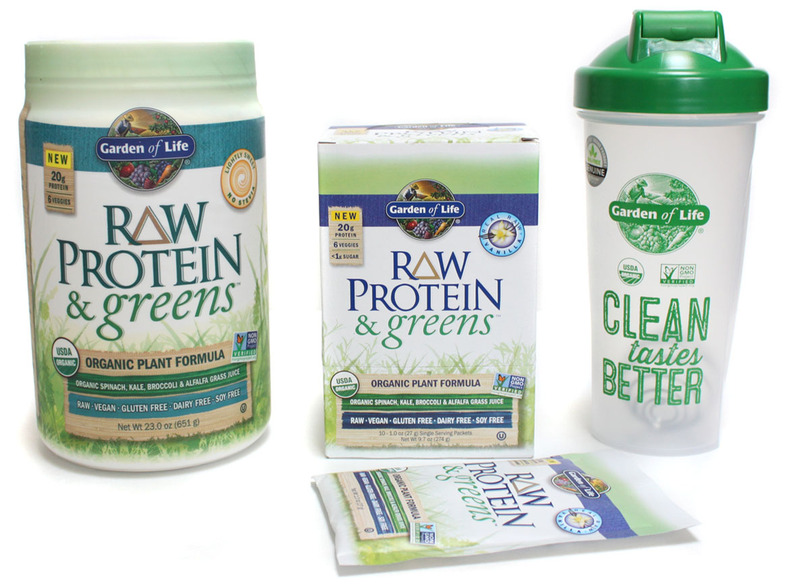 It's also NSF Gluten-Free Certified and packed with 3g of Fiber and 1.5 billion live probiotics. I tried both Lightly Sweet and Vanilla.The Vanilla is excellent on its own with almond milk and the Lightly Sweet mixes well with fruit smoothies adding just a hint of earthy sweetness. 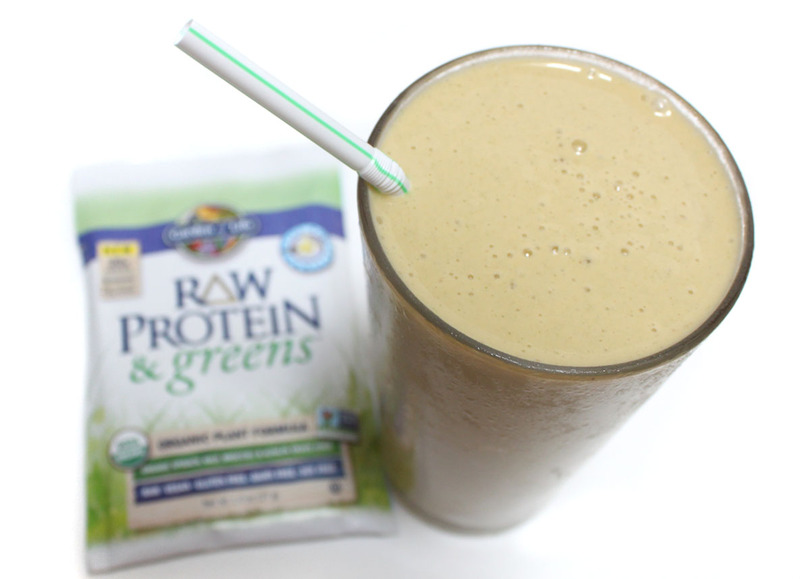 Protein & Greens "Spa Beauty Smoothie"
Blend. Enjoy. :) When I am on the go I like to combine a packet of the Vanilla with a cup of Almond/Coconut milk in my shaker bottle for a quick morning breakfast. It tastes so good! Creamy, vanilla with just a hint of 'green' and not the whole garden. Love this way of getting in so many good for you things while also having it taste yummy too!